G4 got their hands on the first four minutes of Starbreeze's Chronicles of Riddick follow-up, Assault on Dark Athena, featuring our favorite psychotic killer doing what he does best - lurking in shadows. No one lurks quite like Riddick, the finest role Vin Diesel has ever portrayed outside of The Iron Giant. In Pitch Black, he managed to lurk in a sun-drenched desert in broad daylight. That takes skill. I think the problem with the movie sequel was there just wasn't enough lurking going on. 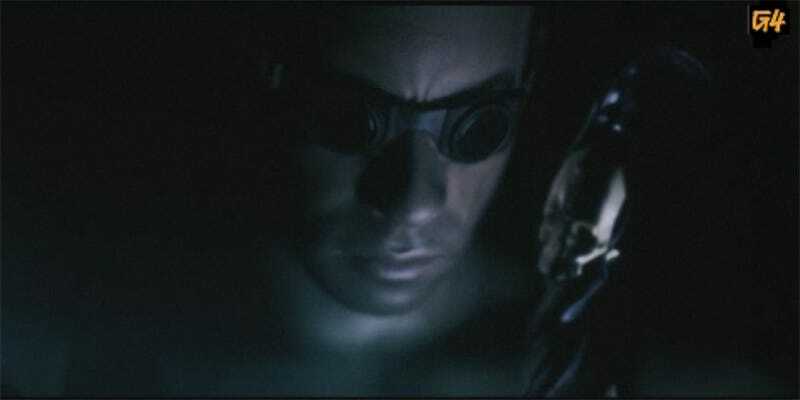 Luckily Starbreeze understands the appeal of lurking, and in the introduction to Dark Athena we get to see Riddick at his prime. Lurk on, little Furion. Lurk on.